“Let’s Be a Noisy Majority Against Political Extremism!” (LBNMAPE) is a skills development activity that will gather a total 20 youth operators aged 18-30 from across North Sardinia between December 03-08 2018 (6 full days of activity). The SDA will empower involved youth operators to employ Non Formal Education (NFE) techniques as a tool to counter extremist political thought and speech (hereinafter political extremism) among young people as well as promote their active engagement in countering the latter within their communities. 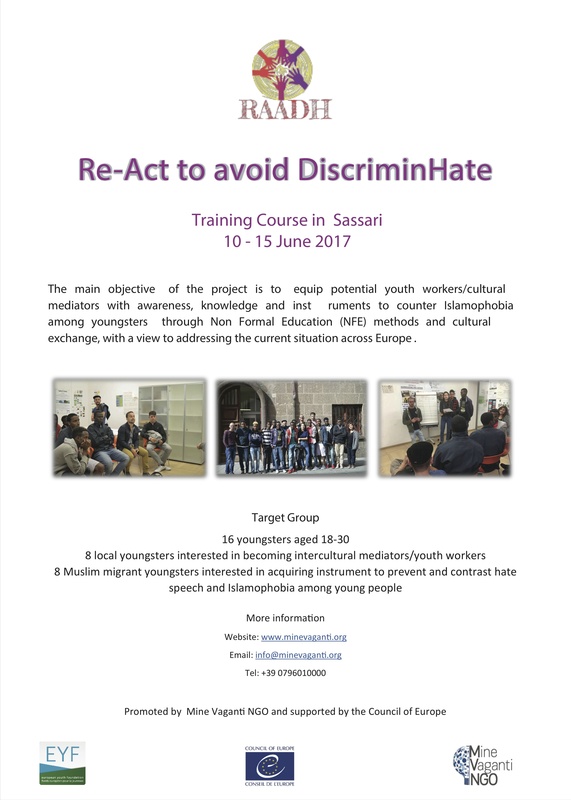 The project takes its inspiration from the rising challenge brought by political extremism (with a particular focus on the growth of right-wing, “sovranist”, xenophobic and hate enticing movements and propaganda streams) to the stability of European societies and to the peaceful coexistence of the different components therein represented In this context, young people represent vulnerable targets to extremism, targets of extremist movements (as is often the case for young people belonging to minorities (i.e. Roma) with a migrant/refugee background) and, also, an under-activated vehicle of positive participation which might determine a positive impact through bottom-up engagement in countering the diffused dynamics of stereotyping and over-simplification which provide a breeding ground for extremist movements. In the above outlined purpose is to be achieved, yet, it is fundamental that youth workers and organizations are provided with instruments and methods to act as catalysts of a positive political awareness and participation among the youth. LBNMAPE will achieve the aforementioned goal within the youth dimension, with a focus on pursuing the priority n.2 “Youth Participation and Youth Work” of CoE’s Youth Secto Priorities. In light of the above, the project pursues point n. 2 of EYF focus for Pilot Activities in 2018, with reference to “Activities supporting young people’s political awareness, active citizenship, civil involvement, participation and decision making at local and regional levels”. ReAct to Avoid DiscrimHate is a Training Course granted and supported by Council of Europe and its European Youth Foundation and took place June 10-15th, 2017. The main objective of the training course was to equip potential youth workers/cultural mediators with awareness, knowledge and instruments to counter Islamophobia among youngsters through Non Formal Education (NFE) methods and cultural exchange, with a view to addressing the current situation across Europe. The core focus is to share and develop awareness as well as understanding sensitizing young people towards the necessity of rejecting and contrasting Islamophobia in the frame of the No Hate Speech Movement values, while at the same time empowering the latter for this purpose. Participants were be local and youth Muslim migrant youngsters aged 18-30 (8 participants per category) interested in acquiring knowledge, attitudes and instruments to be active part in rejecting and contrasting Islamophobia in their own communities and at the different levels. Italian youth participants were selected by MineVaganti NGO through an open call for participants. The activity were implemented in cooperation with the local association NEMESI, which manages a shelter for youth migrants in Sassari named “Baiona-Campanedda”. Youth Muslim migrants taking part in the activity were be selected among the youth migrant guests of the shelter. – “Dealing with Racism Through Non Formal Education” Video, representing a purposeful summary of the whole Learning process. – “Resource Toolkit Against Islamophobia” Webinar, comprising 3 original NFE instruments for contrasting Islamophobia elaborated by participants. 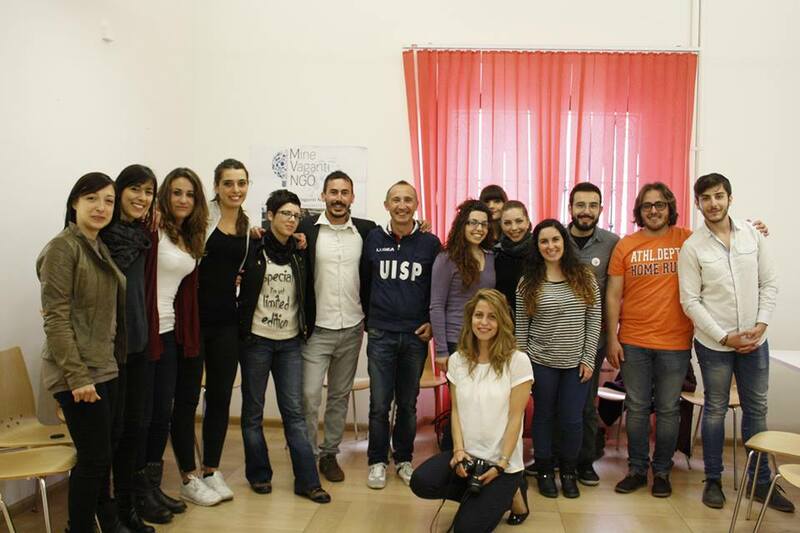 “Youth Education for Intercultural Development” was a Training Course delivered through Non Formal Education (NFE) tools which gathered in Sassari between 19-24 April 2016 a total of 20 youth leaders, youth workers, coaches and educators involved in working with young people at the local level. The TC addressed the theme of multiculturalism, education to cultural difference, and intercultural competences (dialogue, respect of cultural peculiarities, recognition and promotion of cultural diversity as a positive asset). The Training Course represented an answer to the general need for more competent and educated youth operators as a means to convey values, kowledge and tools of peace and intercultural dialogue to young people in local realities. 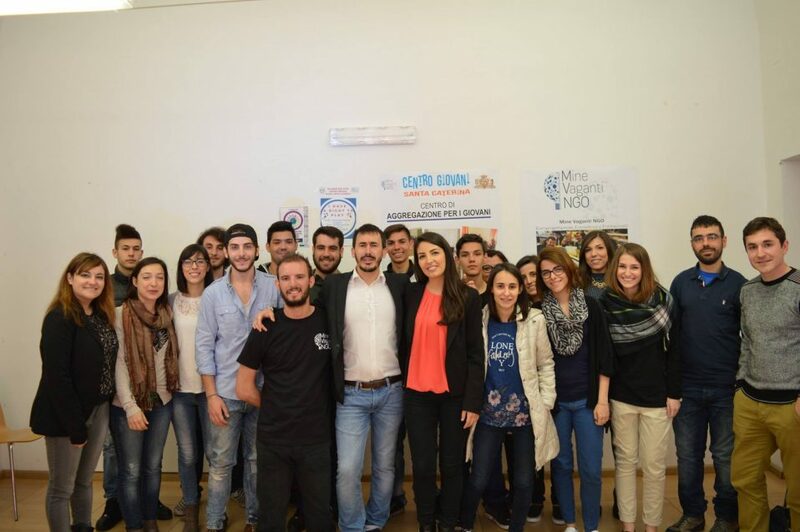 The applicant organization MVNGO magaged a Youth Center in Sassari (Piazza Santa Caterina) based on a convention with the Municipality of Sassari. Among the customers of the Youth Center were migrants and second generation immigrants. MVNGO is among the founding members of the European NGO (ENGO) MV International and in this quality it played a leading role in the Social Campaign to promote the values of the No Hate Speech Movement launched by the MVI Network in October 2015. The TC aims at answering to the ever more compelling need to educate younger generations in the values and instruments of intercultural dialogue, peace, inclusion and respect of diversity. To achieve this far-reaching aim, the TC provided youth leaders, youth workers, coaches and educators from NGOs and assocations working in the wider area of Northern Sardinina with knowledge, attitudes and NFE tools to directly engage youngsters in their areas of operation with the ultimate goal of supporting their education in the values of cultural diversity, harmonic coexistence and cooperation among different cultures and groups, inclusion, tolerance and rejection of xenophobia and stereotypes. – To provide youth workers, leaders and educators with knowledge and NFE tools to educate youth in the values of intercultural dialogue, tolerance, inclusion and rejection of xenophobia and racism. – To raise awareness among youth workers, leaders, educators and, ultimately, youth categories about the realities of multiculturalism and the necessity of integration. – To share and develop best practices in the realm of intercultural education. The educational methodology adopted during the TC was Non Formal Education (NFE), comprising a set of strictly horizontal and participatory educational tools (role-plays, simulations, roundtables etc.) characterized by an immersive and easily replicable approach to learning. 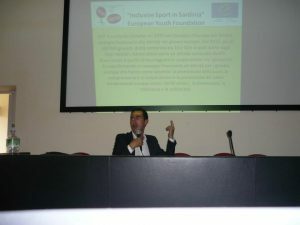 Organizers consider NFE, due to its non-hierarchical and informal nature, the most suitable instrument to guarantee an effective involvement of youth categories. 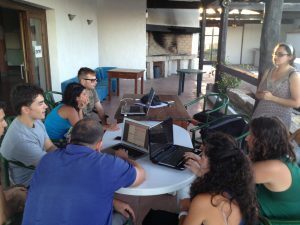 “Green Entrepreneurship in Sardinia” was a Training Course held in Olbia and its nearby rural countryside in July 2013. MVNGO promotes environmental protection and green skills as new job opportunities for young European citizens through Youth European Europe (YEE) network. The TC wanted to discuss about the promotion of active participation aimed to promote zero impact entrepreneurship. The main topics of discussion were energy efficiency, renewable energies, recycling as a method for reducing the impactof nocive emission and in full respect of nature. 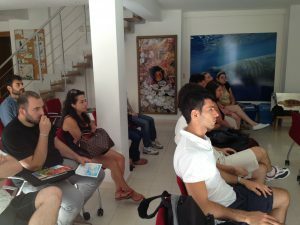 Furthermore, the TC was focused on the promotion of the so called green skills as a tool for promoting youth entrepreneurship in Sardinia. The TC was designed to explore different tools and working methods in Environmental Companies, NGOs or Educational Centres specialized to work in this field, the project had the ambition to share and promote green strategies to work as a system, to improve their capabilities and develop new skills. As in every project, organizers had to adapt the expectations and the activities to the potential of the group. 2. The group was vary etherogenous in terms of backgrounds and connection with “green”. 3.The half of the group could not communicate in english with the international trainers. According to these analysis the Italian organizers decided that the explanation of what NFE is and the creation of a safe work environment where fundamental during the first 2 days. The study visit at Area Marina Protetta of Tavolara (Sea Protected Area), on the second day, gave us the feedback we wanted and the group had a great potential to explore and we should have focusmore on group works to follow their main interests: organizing local green project/entrepreneurship and explore the European project management field. PLACE AND DATE: Sassari, Italy April 11-15th, 2014 (Travel days included). PARTICIPANTS: 20 participants (educators, social workers, youth leaders, teachers, public servants) from Sardinia. LANGUAGE: The working languages were English and Italian. The main aim of the TC was to develop knowledge and skills of youth leaders and educators; thus enabling them to train secondary school children on addressing Human Rights and Non Formal Education (NFE) Methods. 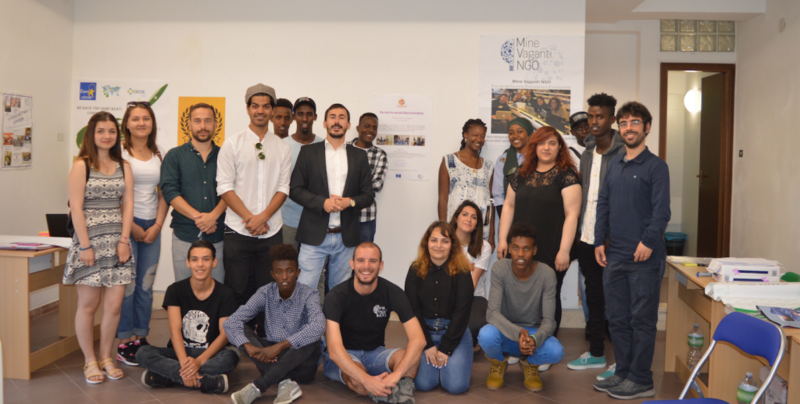 The hosting NGO, Mine Vaganti NGO (MVNGO) promotes NFE as a tool to support formal education in the way of promoting the respect of the gender human rights. The TC was designed to explore different tools and working methods in Schools, Companies, NGOs or Educational Centres specialized in working in this field; the project shared and promoted strategies to work as a system, to improve their capabilities and develop new skills. – Alert young educators to integrate gender education in their curriculum and help to select materials for the initial stage. The program covered: familiarization with COE manual “Gender Matters” and Compass; seminars, role plays and workshops on “The EU convention on Human Rights (HR)”; Cedaw introduction; Gender and social rights, domestic violence, Gender and Stereotypes; Exclusion based on gender; Gender and media; HR solidarity. The importance of gender education and its influence on children attitude formation was discussed properly. Trainers provided theoretical and practical excersices on how to provide NFE lessons for youth on gender based and human rights issues. Plenary discussions had been opened on each topic, audio diaries reflecting gender based violence stories and video material screening had been performed. Participants received certificates after the completion of the TC. 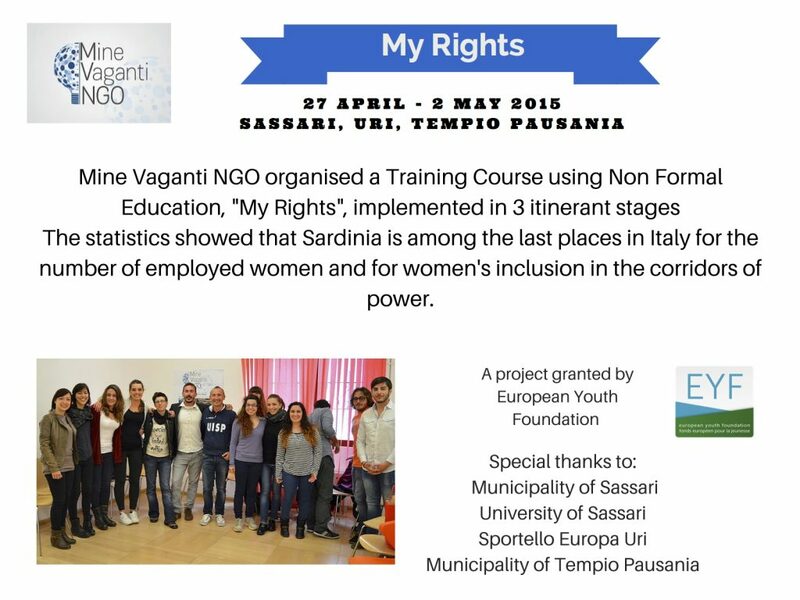 Mine Vaganti NGO (MVNGO) implemented a 6-day Awareness raising activity “My rights” (27 April-2 May 2015) in 3 cities – Sassari, Tempio, Uri and Tempio Pausania; all in Northern Sardinia, Italy. MVNGO Youth Team reached in in total 150 young people, aged 18-30. 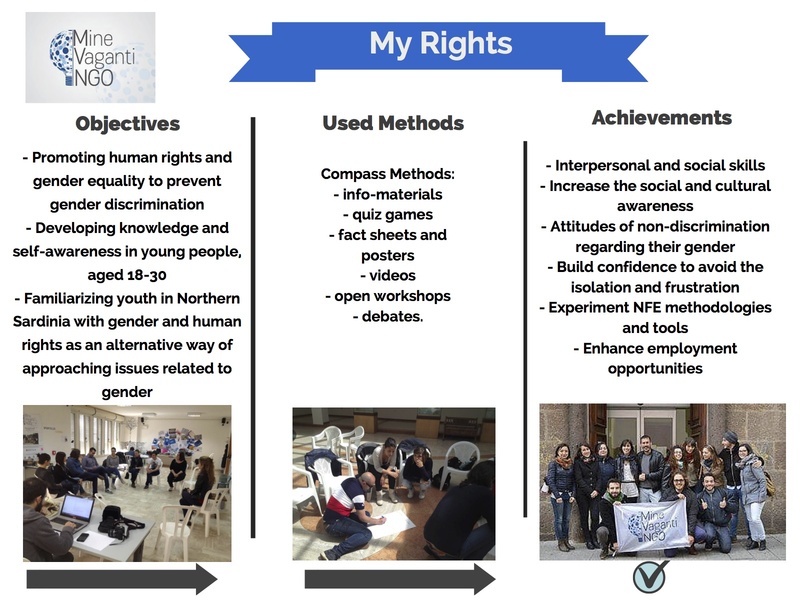 “My rights” as a proficient result of developed networking during the “TC Gender Human Rights in Sardinia”, held in Sassari (Italy), funded by the EYF, where as a follow-up activity we planned that the most proper would be to work directly with youth from different cities, involving an equal number of males and females and taking into account their different needs as young people. Achieving gender equality is central to the protection of human rights, the functioning of democracy, respect for the rule of law and economic growth and competitiveness. The participants, who attended “TC Gender Human Rights in Sardinia”, shared its results within their organizations and communities, and later contributed for the good implementation and dissemination of the project results. The partnership has been established in the interest of all organizations – we create an on-going partnership. Our common goal was to reach out to, sensitize and educate young people in Sardinia about their Human Rights and Gender Equality. MVNGO Youth Team visited each institution for one day and will provide NFE sessions by Gender Matters and Compass; info-materials, quiz games, fact sheets and posters, videos, two open workshops and debates. The project followed three steps: preparation, implementation and follow up, which provided environmentally sustainable development of attitudes in youth. The aim of this MVNGO’s TC was to develop knowledge and skills of youth leaders and educators about how they can use sport as a tool for inclusion. The project dealt with the importance of the sport activities in the process of inclusion of disadvantaged people. – To introduce Positive Sport Value and the concept of “adaptive games” developing participants’ competences in adapting sport activities in order to facilitate the process of inclusion of people with fewer opportunities ( e.g. – Alert young educators to integrate outdoor activities as an important method of inclusion and help to select materials for collect more information about this issue. 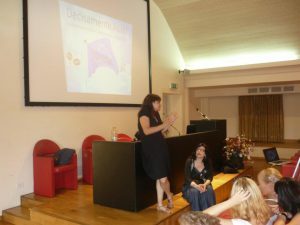 The program started with the presentation of the Council of Europe and European youth Foundation (history, aim and objectives), an introduction of the Project and a presentation of Mine Vaganti. Defying the concept of inclusion and exclusion, defying sport and its values, sport and media(how they can spread positive messages), team building activities, best practices . We had the pleasure to invite a testimonial: Jeff Onorato ( international water ski championship) who showed how is possible using sport as a tool for inclusion and how he helped different kind of persons with fewer opportunities on re integrating them into the society. We organized hearing of Gallura best practices associations telling their stories about different relationship between sport and inclusion. 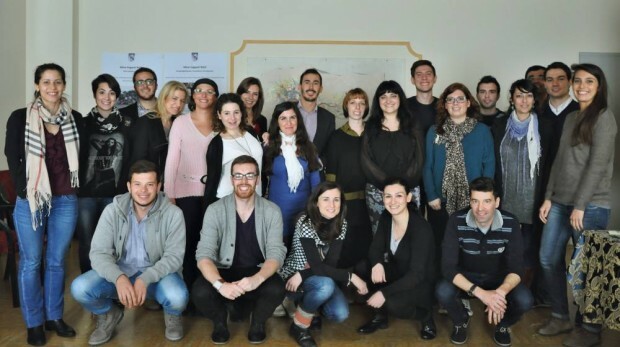 Young leaders and educators have been involved in developing European projects. Skilled trainers provided information on how we can use sport as a tool for inclusion breaking stereotypes. The programme provided space for individual and group reflection. We encouraged exchanging of individual practices, teamwork, role playings and debates. Participants have been awarded with the certificates after the completion of the training. Project target group were youth educators, youth workers at associations or youth leaders aimed to become Ngo’s trainer using the non formal education method. The participants had an active role during the tc, because they developed project idea and they were actively involved in every single step of the training. The innovative nature of the sport was the new concept of sport for a social inclusion of different kind of minorities( usually in sport the disadvantage people are divided into category) but thanks to the adaptive games: immigrants, disable bodies, young prisoners could play together at the same level. The 4 days training course have a positive effects among guys: they created new project about sport activities and new relationship were established among associations, participants and institutions (at local and European level), they started to cooperated with Mine Vaganti for the implementation of one of the above mentioned tools.